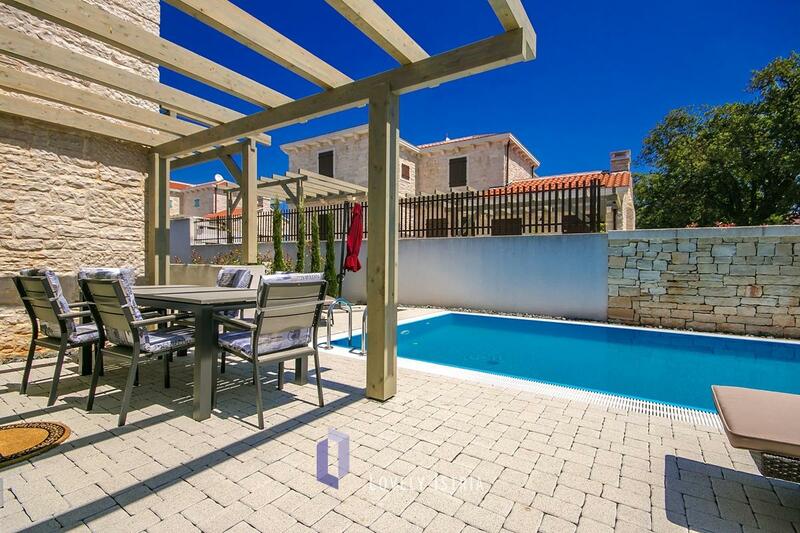 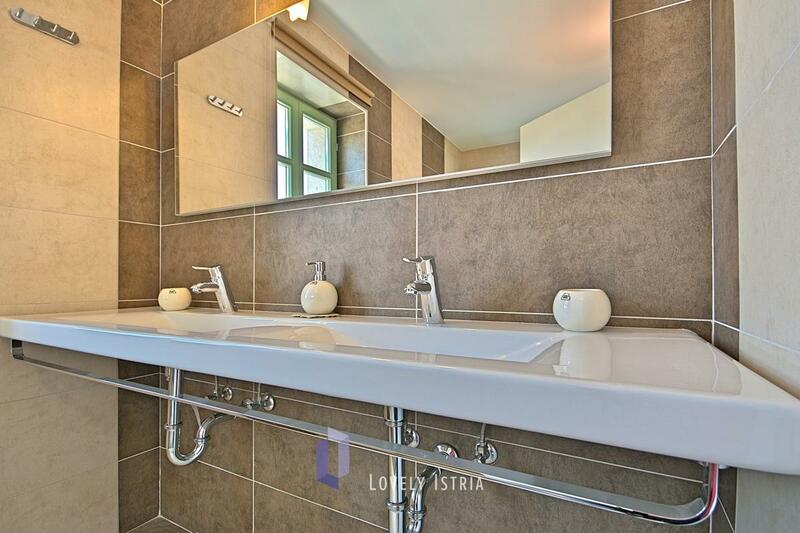 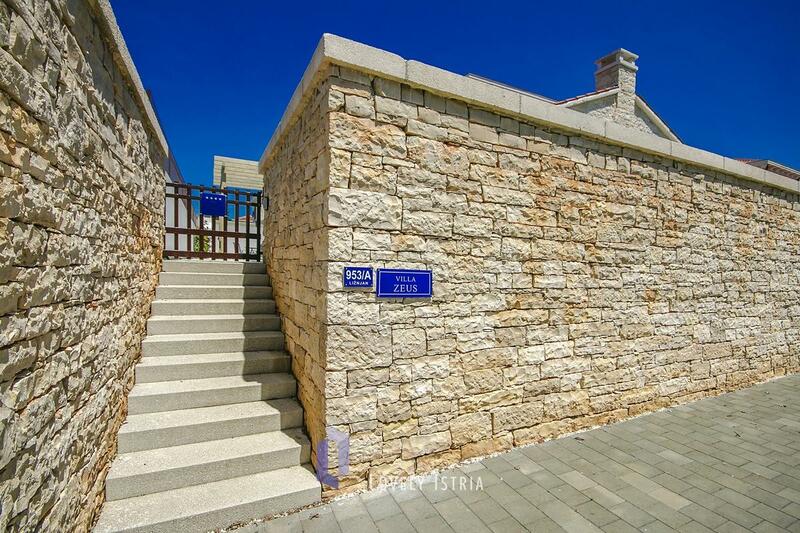 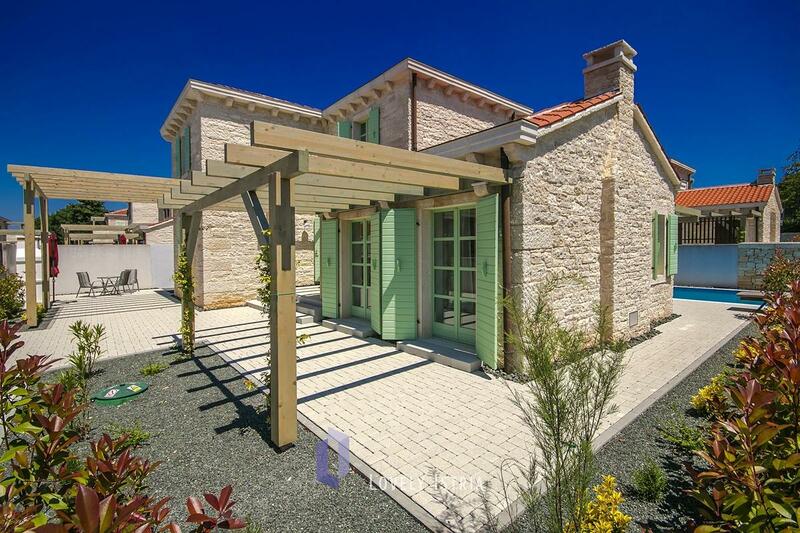 Villa Zeus is a newly built vacation house using stone as a basic building material, typical for Istrian architecture. 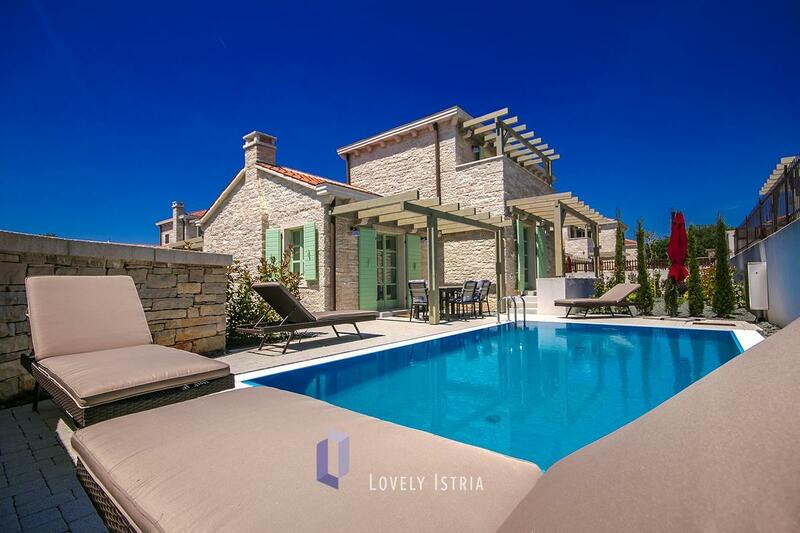 The house is detached, bordered by walls and has a sunny courtyard with a lighted pool. 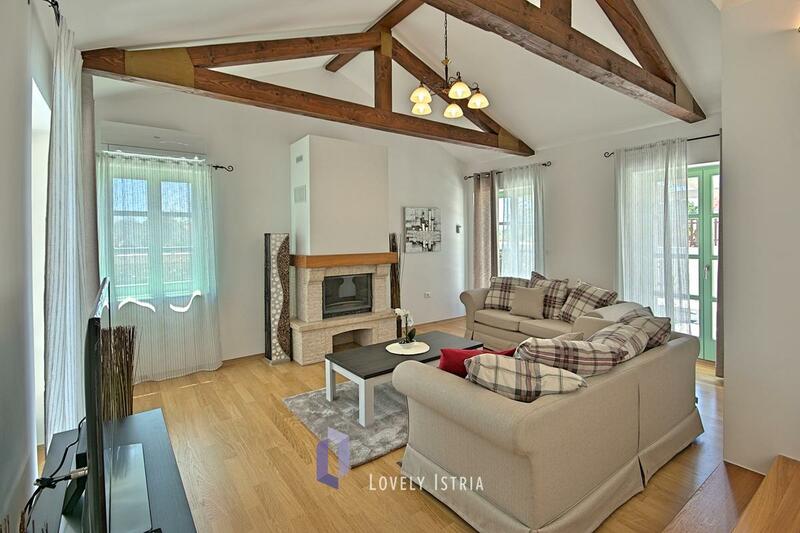 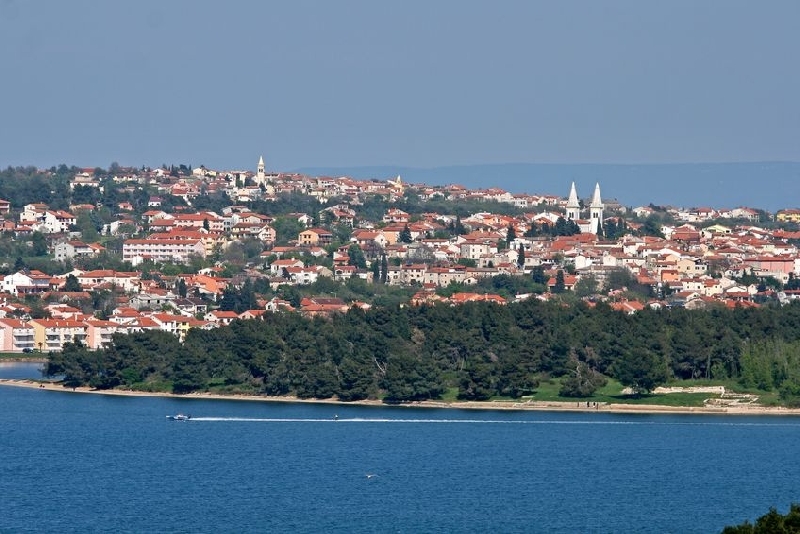 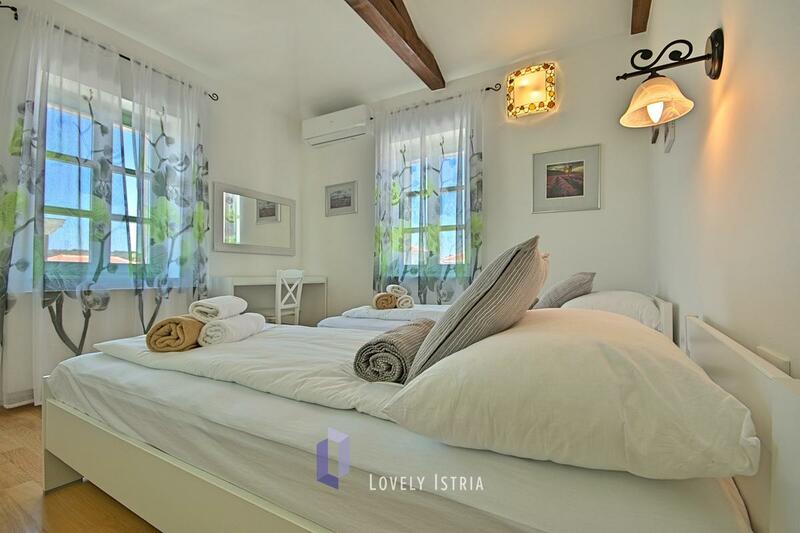 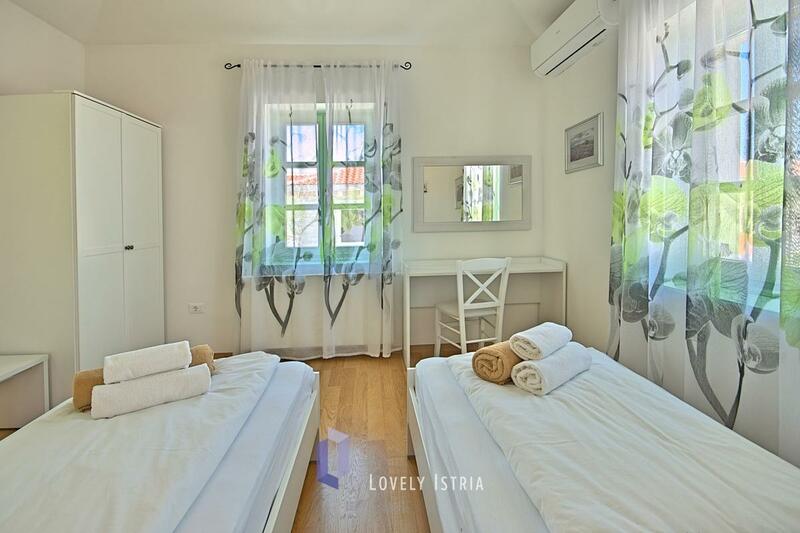 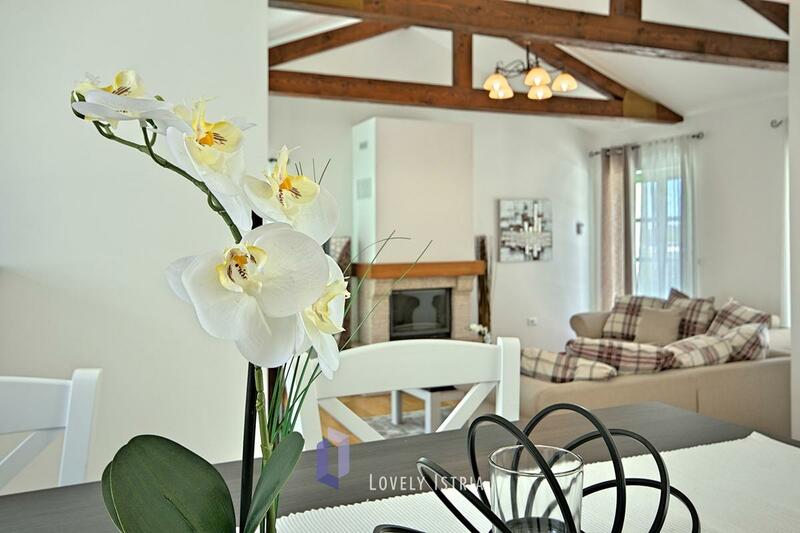 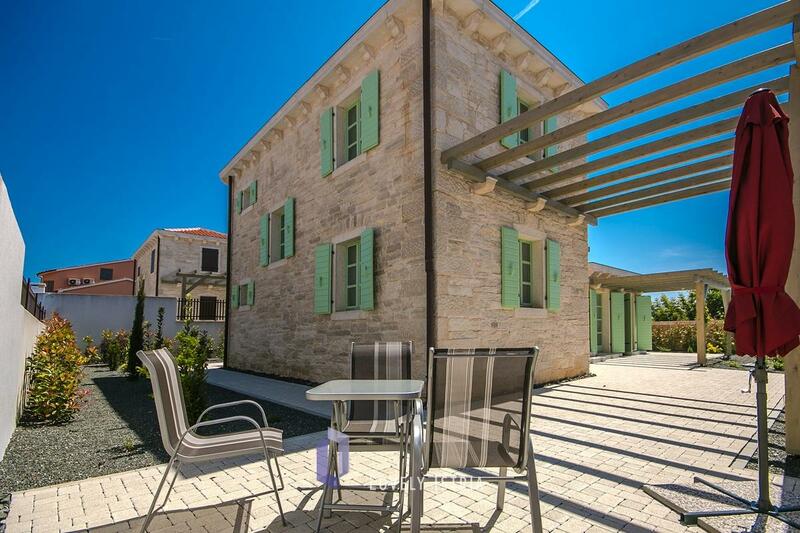 It is situated in Ližnjan, a small seaside town in southeastern Istria and it’s close to the local beach. 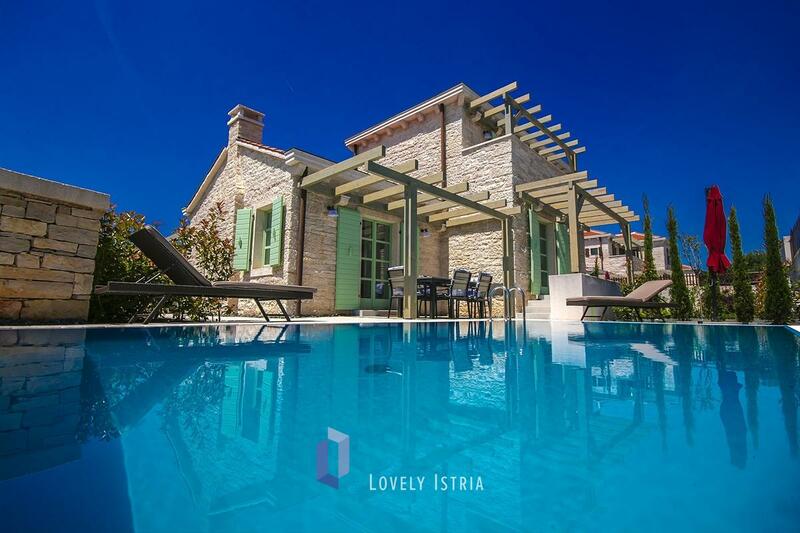 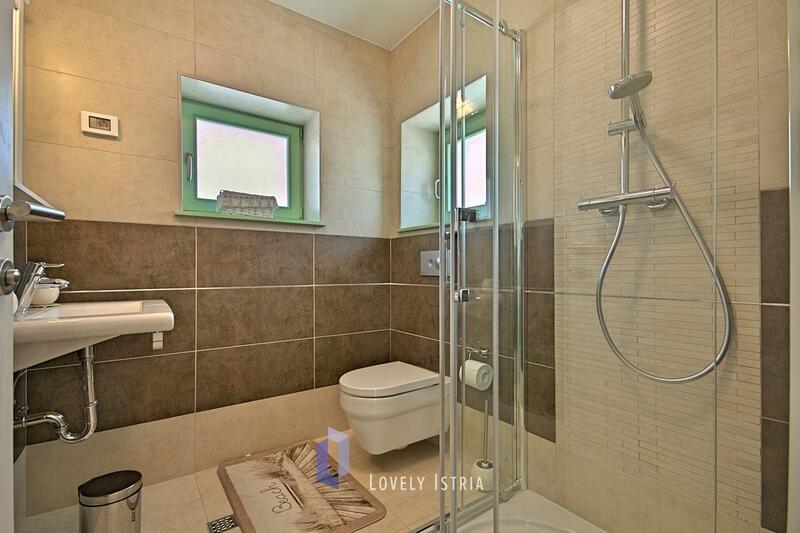 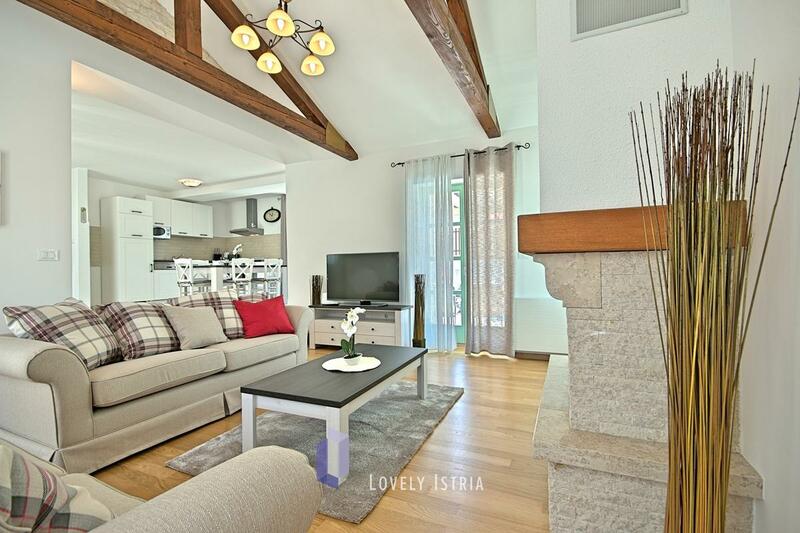 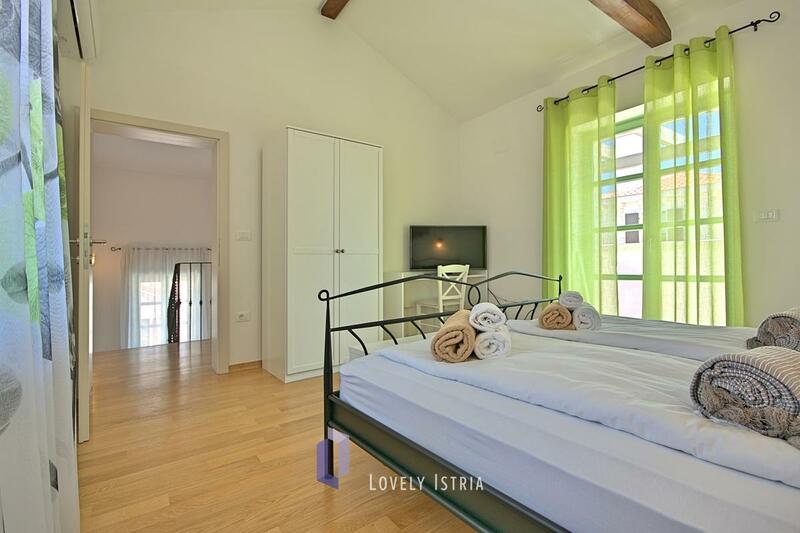 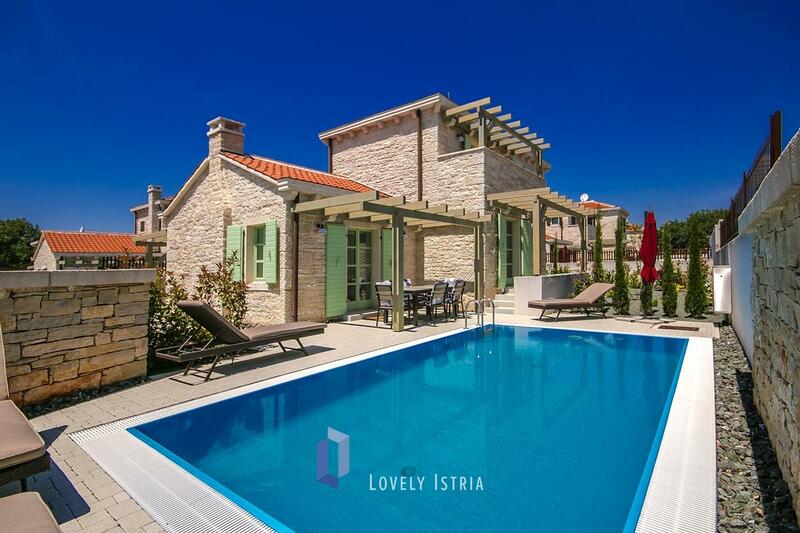 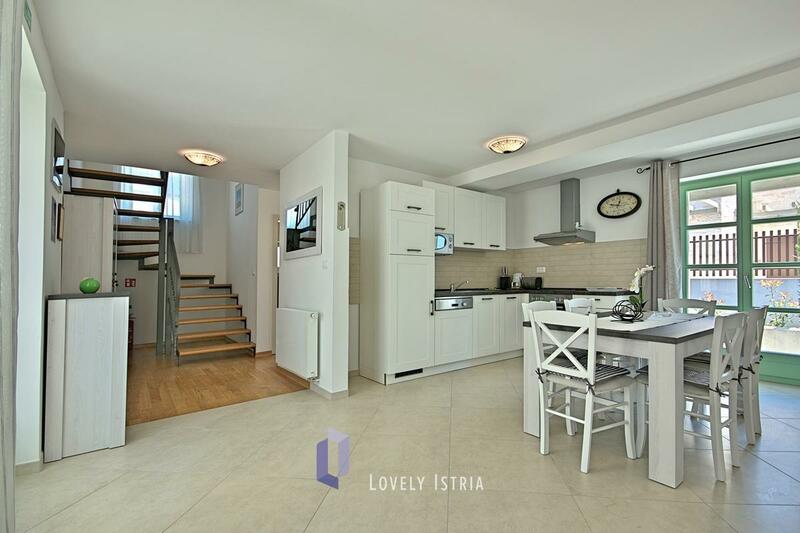 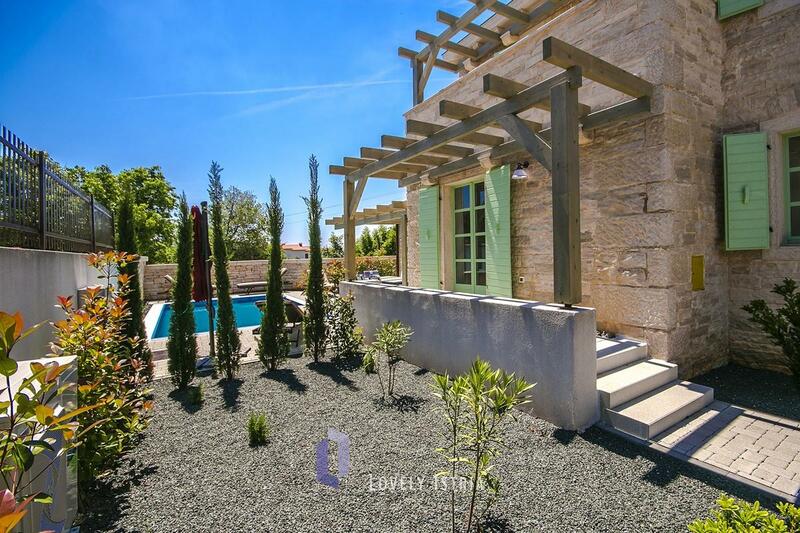 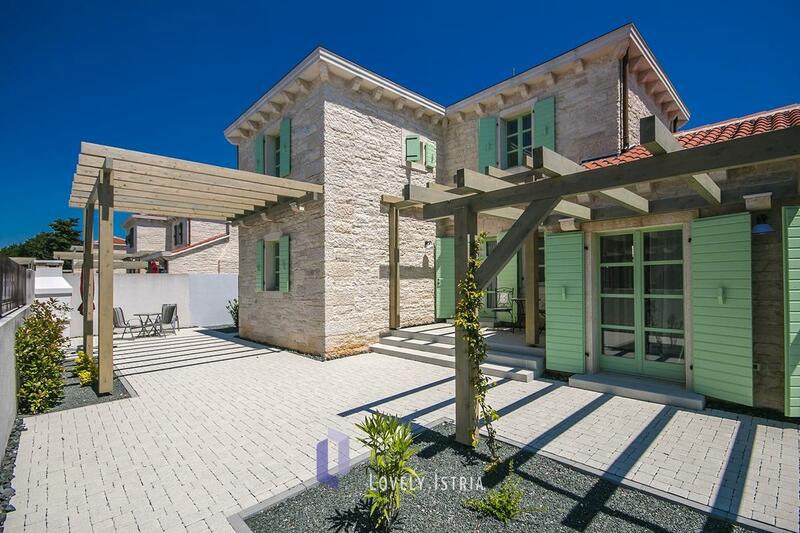 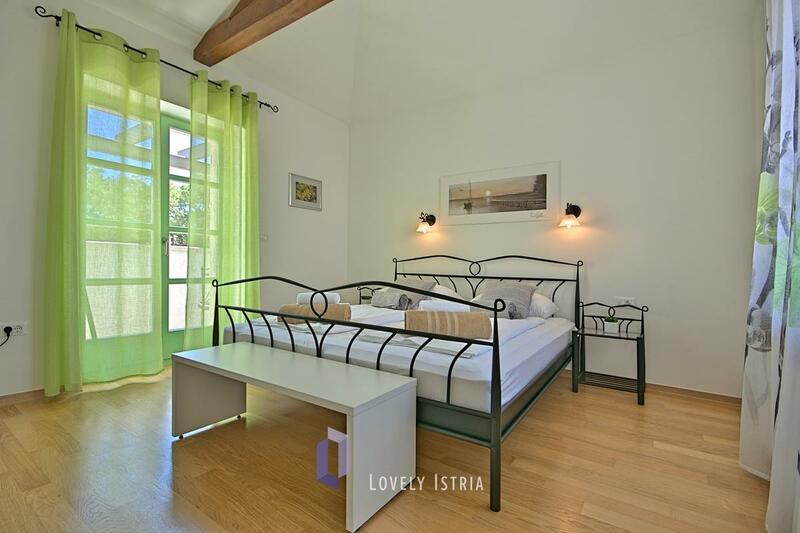 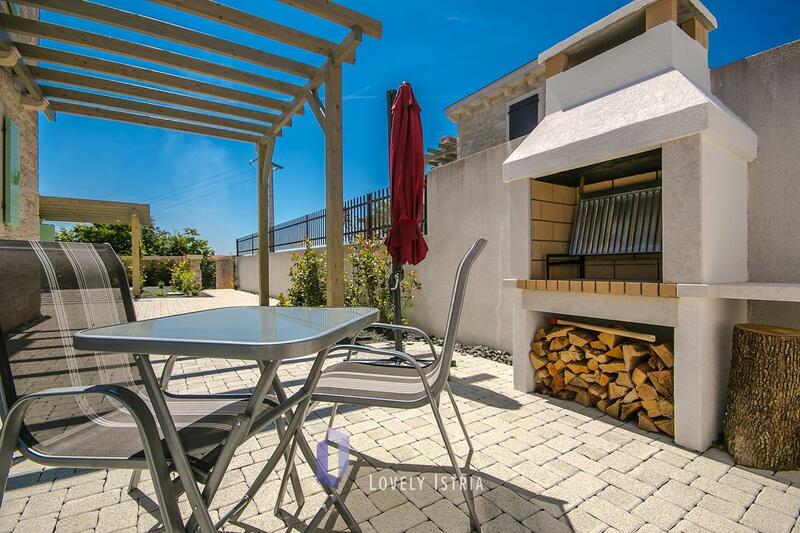 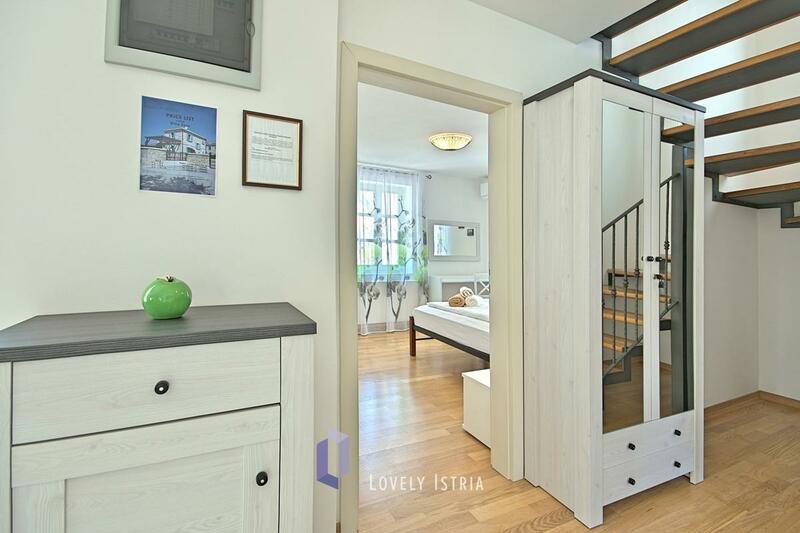 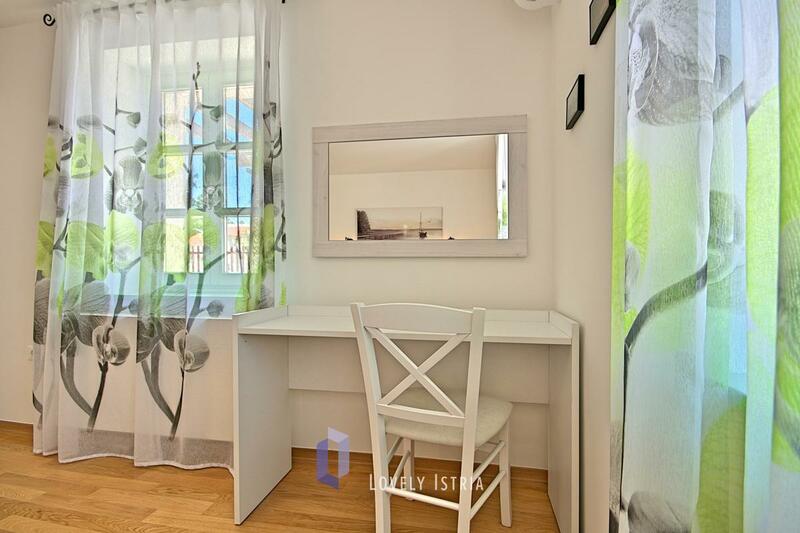 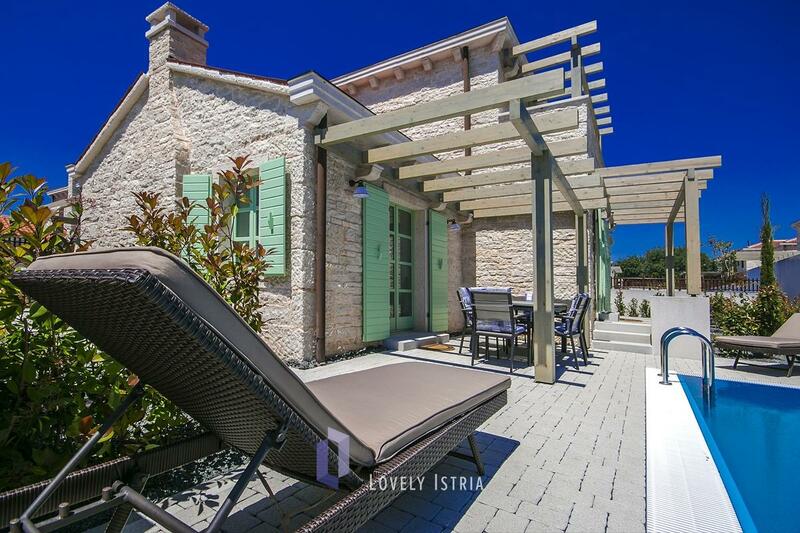 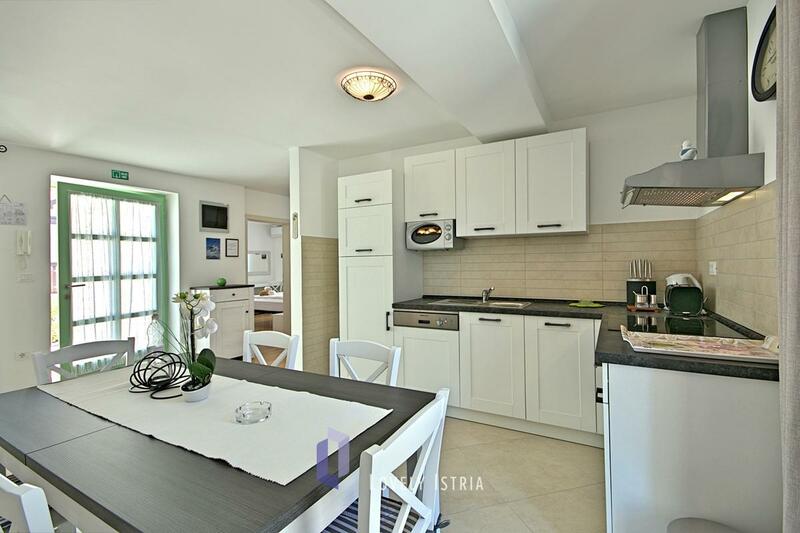 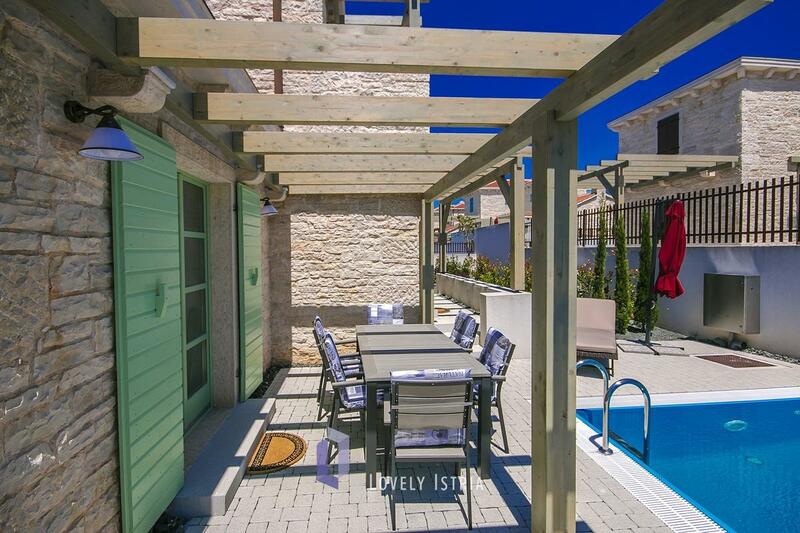 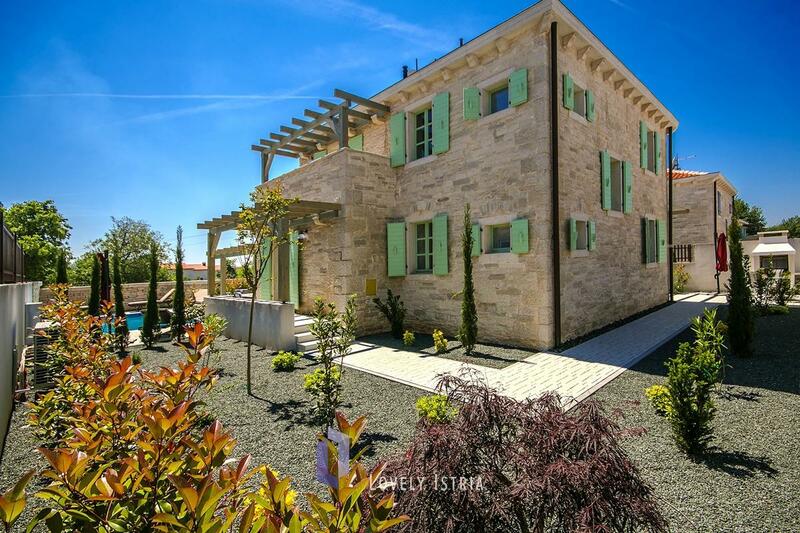 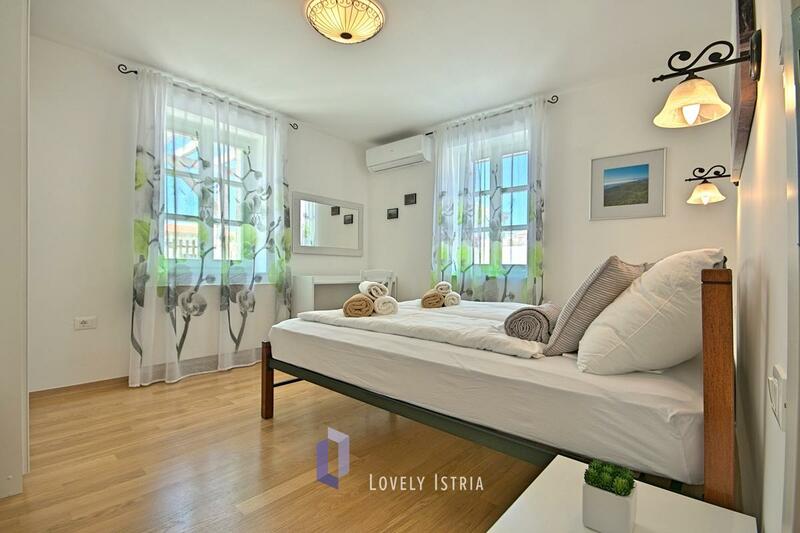 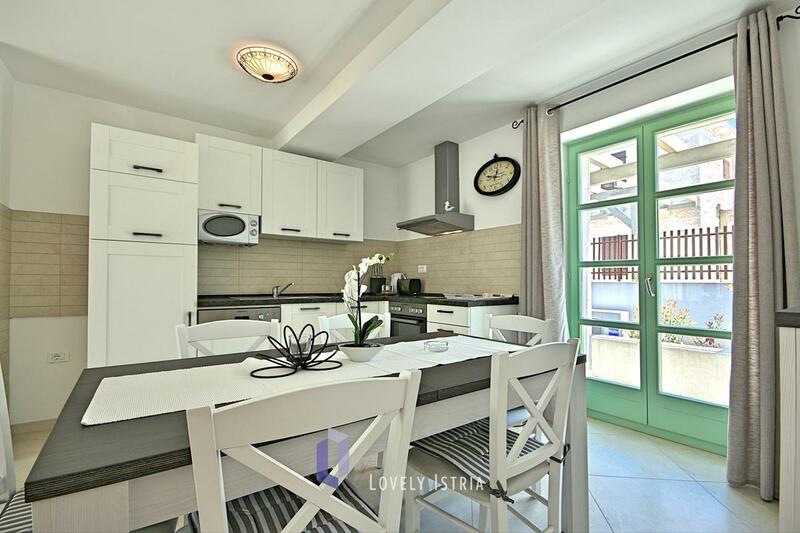 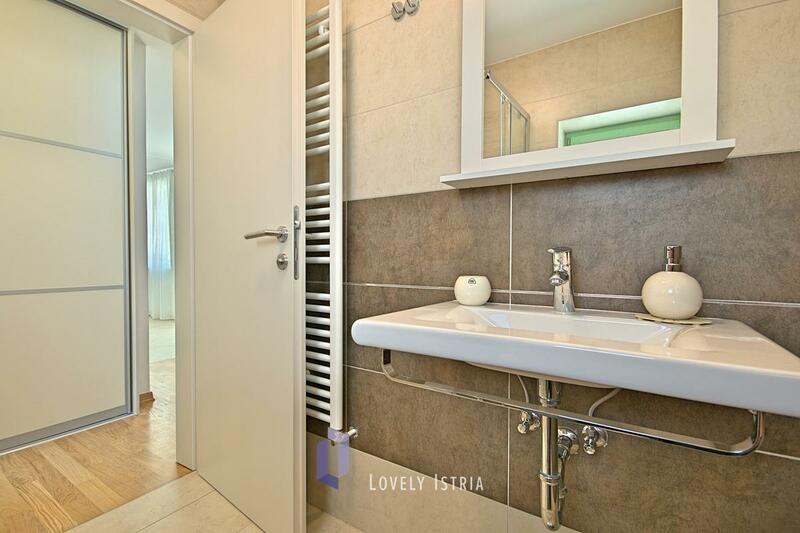 The contrast of traditional Istrian stone and green shades gives a loving vision and serves as a reminder of the carefree fact that you indeed are on vacation. 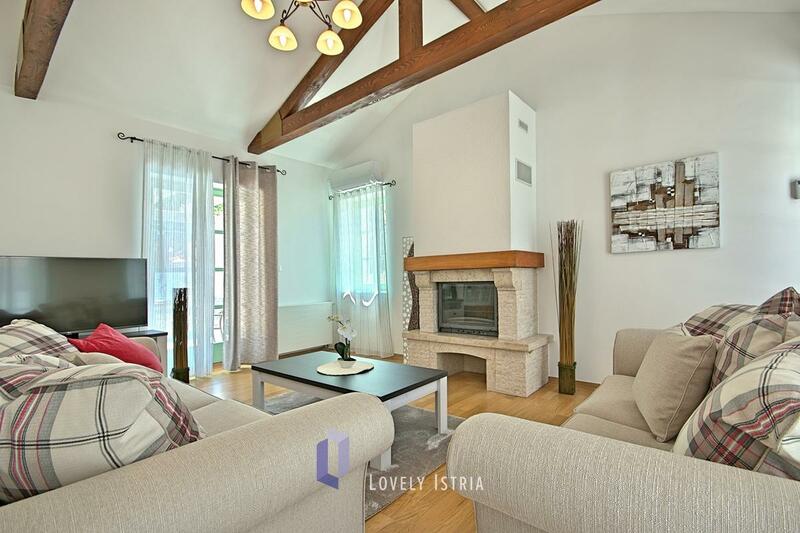 The ground floor offers an open- space concept with a kitchen and dining area on the elevated part, and the living room with a lovely fireplace on the lower level. 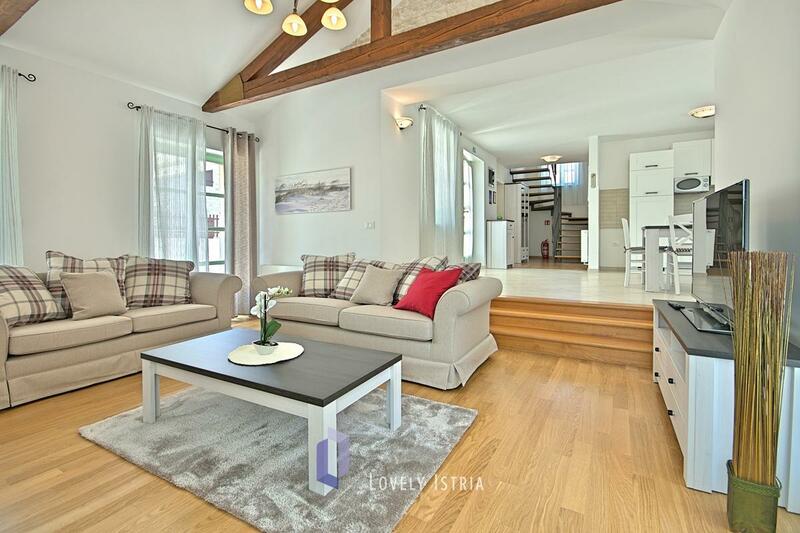 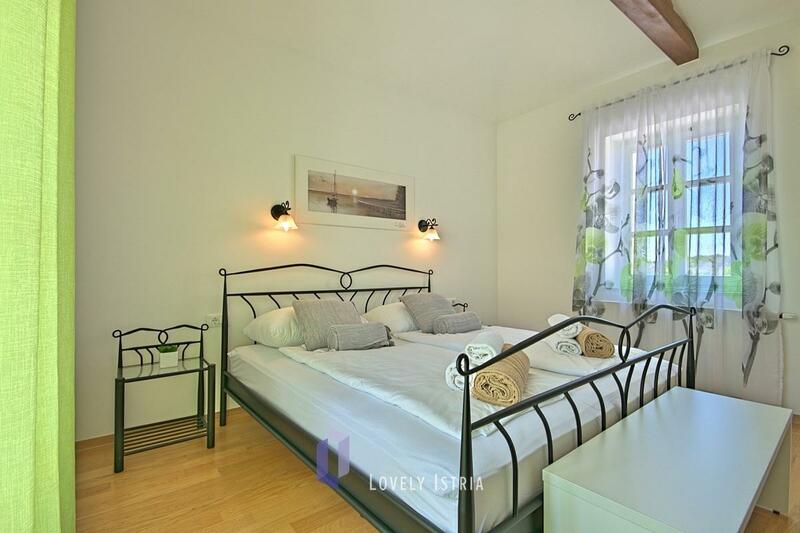 The 3 bedrooms on the upstairs accommodate up to 8 persons. 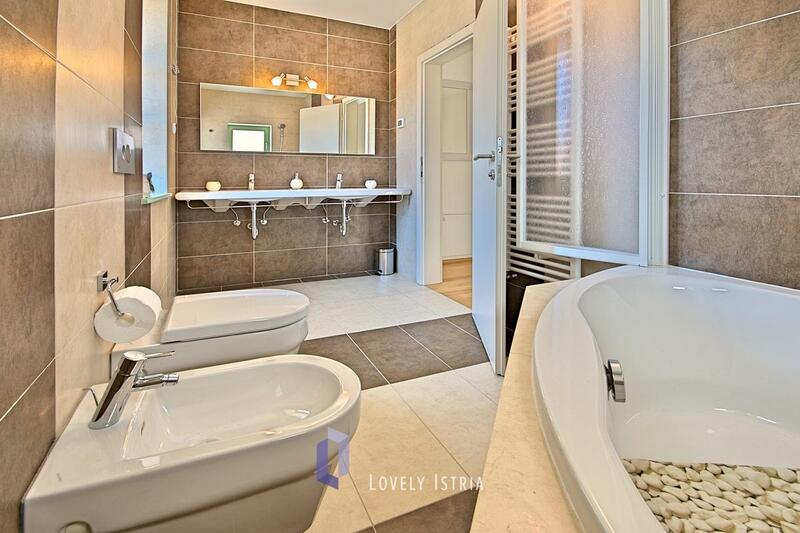 Each floor has one bathroom. 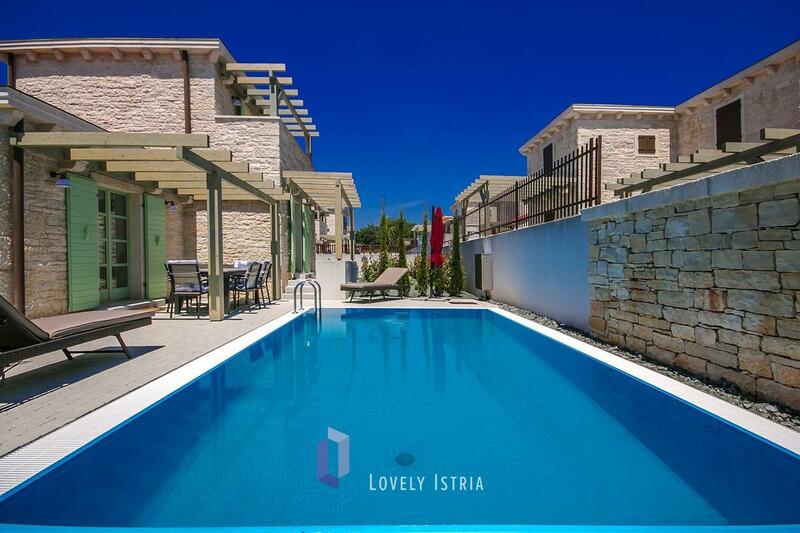 This property might best suit the guests that don't like being isolated, yet are in search of a quiet holiday.